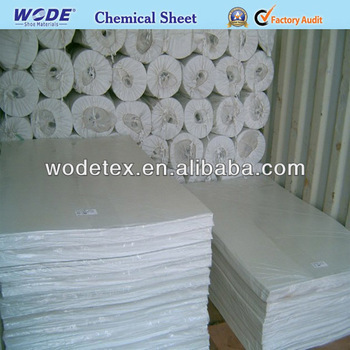 Size Shoe Toe Puff Chemical Sheet Mateial By roll: 36’’Width,54’’Width or 1.00mm width,meters per roll is based on customer’s need. 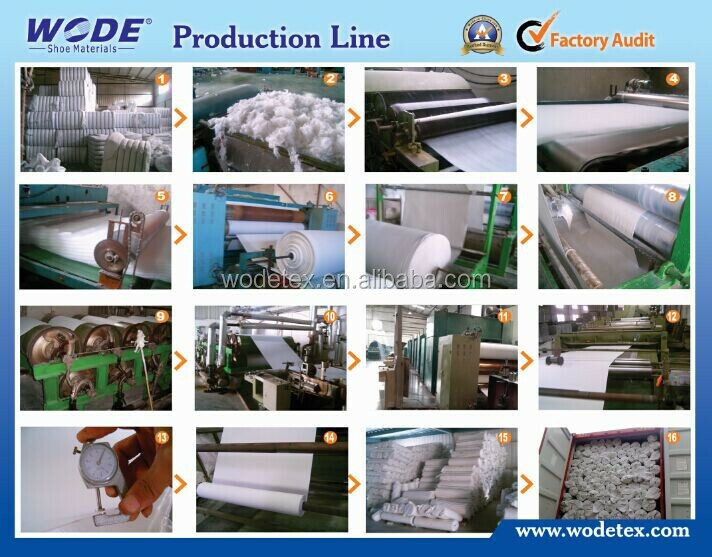 Supply ability Shoe Toe Puff Chemical Sheet Mateial supply ability more than 15,000meters per day. 1. 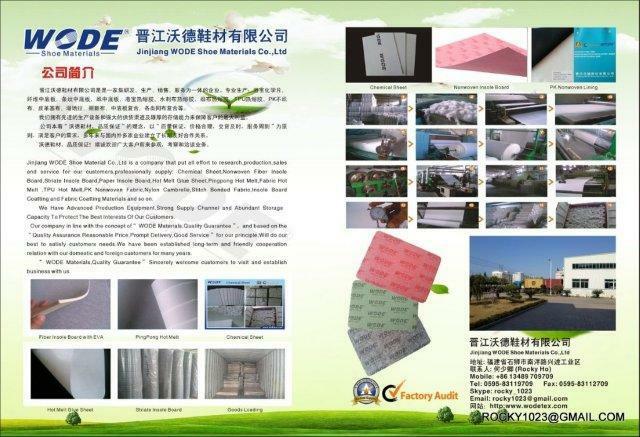 Shoe Toe Puff Chemical Sheet Mateial has strong glutinosity, well bonding. 2. 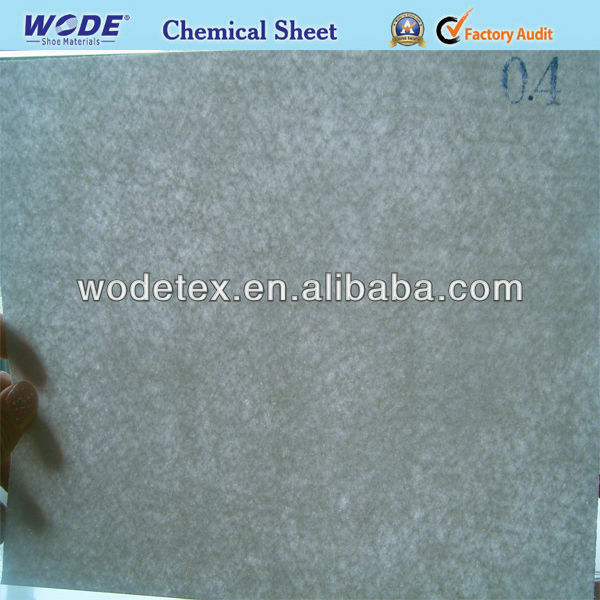 Shoe Toe Puff Chemical Sheet Mateial has high tensile, good breaking and peeling resistance. Packing:By polybag and by pallet are ok and outside with strong plastic bags for Shoe Toe Puff Chemical Sheet Mateial .